Political prisoner Golrokh Ebrahimi Iraee and her husband, political prisoner Arash Sadeghi have only visited each other twice in the past year. 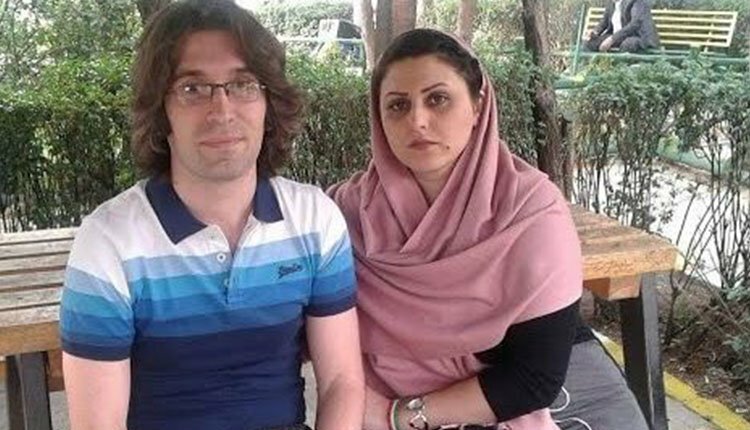 The denial of visits for the political prisoner couple began when Arash Sadeghi was banished to Gohardasht Prison from Ward 350 of Evin Prison on October 18, 2017, as a punishment at the demand of the prison chief. Human rights activist Arash Sadeghi, who is currently in Gohardasht Prison in Karaj, has been diagnosed with a cancerous bone tumor. He received delayed treatment which was left unfinished. Iranian authorities are deliberately depriving him of the specialist medical care health professionals have said he desperately requires. Delay in surgery and limitation in sending him to the hospital has increased the concern of Arash Sadeghi’s family and his wife, Golrokh Ebrahimi Iraee. Golrokh Iraee expressed concern over the failure to start post-surgical chemotherapy for her husband, Arash Sadeghi and the inability of the medical staff at Gohardasht Prison to provide him the necessary treatment. In another event regarding female political prisoners, Sanaz Allahyari, a journalist and member of the editorial board of the Gam Magazine, who is being held in ward 209 of Evin Prison, still faces uncertainty after 50 days of arrest. Ms. Sanaz Allahyari, was arrested on Wednesday, January 9, 2019, by security forces at her father’s house in Tehran.